Follow this guide to impress your other half! Ingredients: – 6 slices ciabatta bread (gluten free optional) – Olive oil for drizzling – Sea salt – Cracked black pepper – Fresh garlic: 2 cloves minced finely. 1 more clove on side. 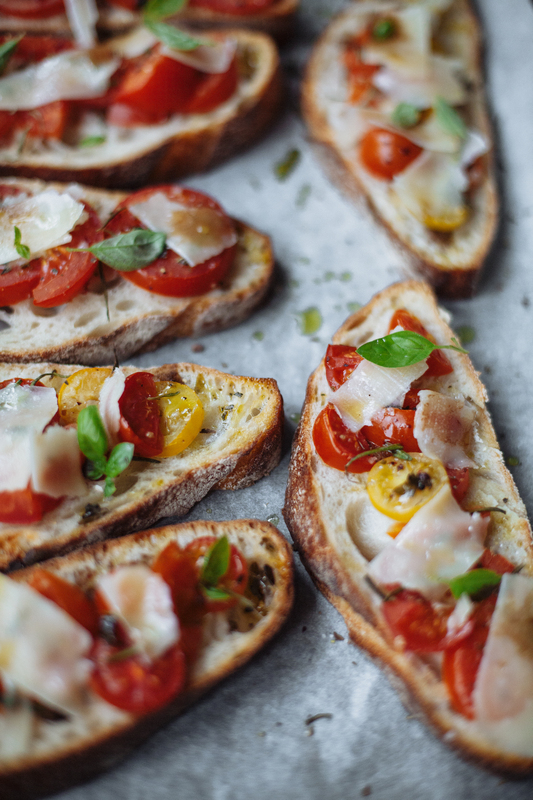 – Balsamic vinegar for drizzling – 1 handful of fresh basil leaves torn – 2 cups of cherry tomatoes, chopped. Recipe: – slice ciabatta bread and heat on a grill for a few minutes on both sides until golden brown and crusty. – rub each side of bread with fresh garlic clove. – In a bowl, combine the chopped tomatoes, diced garlic, salt, pepper and basil, along with 2 tablespoons of olive oil. – Top the hot bread with tomato mixture and drizzle lightly with balsamic vinegar. Main course: Linguine di Mara- an all time favourite! Following on from the light starter filled with flavour, comes an even more delicious dish filled with fresh flavours of the sea for your main course. A mouth-watering dish with promise of love at first bite. 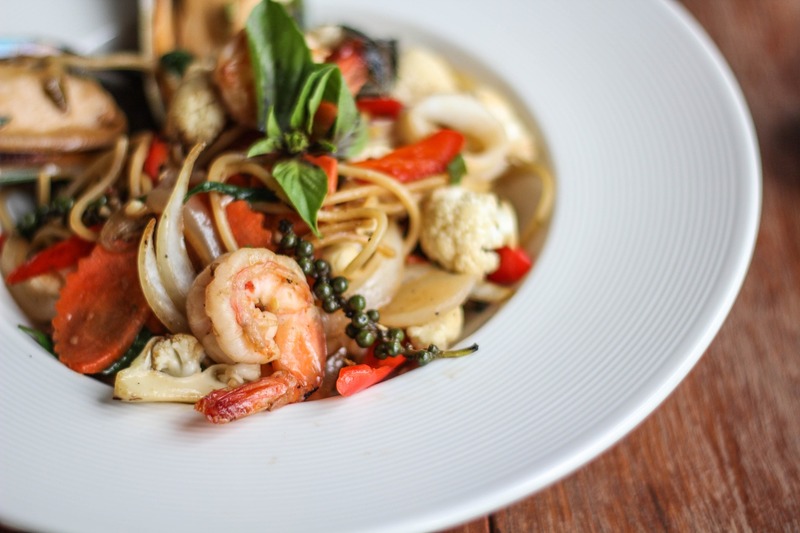 Shake up your pasta choice with a gluten-free alternative to suit you or your partner. Method: – Clean the mussels under cold water, and remove any unwanted empty shells. Remove the shells and heads of prawns, leaving the tails which give flavour while cooking. – Boil water in a large pan and add the pasta for cooking. – Heat up some olive oil in another saucepan and add the garlic, chilli, salt, pepper, and add mussels and wine and cover and cook for 3 minutes. – Add the prawns, butter and lemon juice and cook for another 4 minutes. – Cook the pasta until al dente and remove and drain when ready. Pour the pasta into the sauce saucepan. – Serve hot, with a dash of fresh parsley if desired. 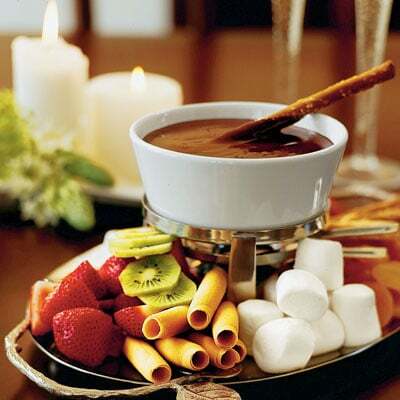 What a better way to round off an impressive dinner than with a chocolate fondue to share. You can use dairy alternatives for the chocolate mixture if desired, or try mixing in a little cinnamon into the fondue if preferred. Enjoy! Method: 1. Wash and prepare all the fruit and chop into small pieces. 2. Arrange the fruit onto a small platter along with some skewers. 3. Heat up a non-stick saucepan at a low heat with the butter. 4. Add the chocolate, cinnamon, milk and cream. You can substitute these for dairy alternatives if needed. 5. Allow the chocolate to melt and the mixture to be thoroughly blended. 6. Transfer into a serving bowl and enjoy with fruit prepared earlier! Have you tried these recipes and made a romantic night for 2? do you have any tips of your own? Comment below to add your thoughts! Don’t forget to tag us in your recreations on Facebook!